America wants to help David Henneberry get a new boat. 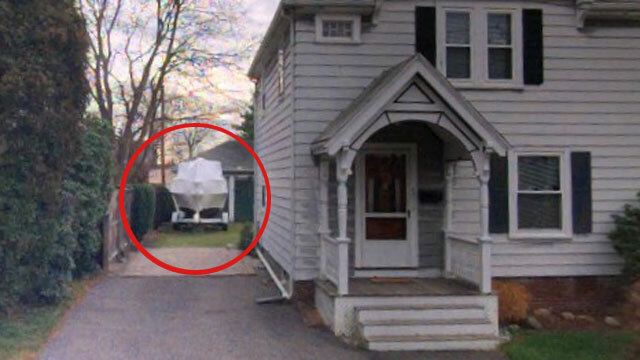 The Watertown, Mass., resident became a hero when he discovered suspected Boston Marathon bomber Dzhokhar Tsarnaev hiding in his backyard boat. Henneberry quickly called the cops and in a final standoff, his boat was riddled with bullet holes. "That boat's his baby. He takes care of it like you wouldn't believe. And they told him it's all shot up," Henneberry's friend and neighbor George Pizzuto told ABC News. "He's going to be heartbroken." Today, people around the country want to make help mend that broken heart. Deborah Newberry, 62, of Orlando, Fla., has already put a $25 check in the mail to Henneberry's home. "Something told him to go and check things," Newberry told ABCNews.com. "I just want him to know that people care about him because I know he's probably the guy that would say, 'Well, that's okay.' But I just would like him to know that we're all thinking about him and appreciate his spirit." She believes Henneberry had to be "awfully, awfully cool" to emerge from a daylong lockdown, notice something wrong with his boat, find a bloody man in it and slip away to call police. "Just listening to his coolness and how he handled the situation, it was like okay, that is a man who needs to have his boat restored," Newberry said. When asked if she sent Henneberry any note with the check Newberry said no, she simply wrote, "towards a new boat" on the check. "He don't know me from Joe Turkey," she said with a laugh. "I want him to go back to his regular little things that he do and don't have to worry about having a boat." Florida lawyer John Phillips felt the same way. "[The boat] is fairly insignificant in the grand scheme of things, but that's what's significant to him," Phillips told ABCNews.com of the bullet-riddled boat. "If that's what the guy's passion is, I have no problem whatsoever chipping in and helping out." Phillips, 38, is a personal injury attorney in Jacksonville, Fla. He wants to send Henneberry $1,000 for a new boat since he predicts the boat will be held as evidence for some time. "He just had his boat shot up and had a terrorist live in it for a day," Phillips said. "If the dude wants an upgraded boat, let's get the guy a boat without terrorist blood in it." Watertown Police Chief Edward Deveau has been inundated with messages of gratitude and praise as well as requests from people who want to know how they can get a Watertown Police T-shirt. "I'm getting emails and things from all over the world," Deveau told ABC News. "I got an email this morning. Some person in Detroit, Michigan who wants to replace the boat for the Watertown resident that got shot up. I mean, it's just incredible." People on Twitter are echoing the calls to help Henneberry, hailing him a hero. "Bravo, David Henneberry! You are a true American hero. I say we all pitch in and buy you a new boat. #welldeserved," one person tweeted. Another wrote, "Some boat company needs to hook David Henneberry up with a new boat. His has a few holes in it. Holey #boats don't float." Henneberry's boat is reportedly a 22-foot Seahawk cruiser with a fiberglass hull, which retails for around $50,000. He did not return ABC News' request for a comment. "It took more than the police department to get it done and that's the American spirit to me," Phillips said. "It's one random guy and one random boat ironically in a town named Watertown that's supposedly landlocked. Truth is stranger than fiction. You couldn't write this stuff and be believable."